If by now Top Gear Festival fever hasn’t gripped you like it has the rest of the country then you must be living under a rock! Everyone’s favourite and biggest automotive festival is less than a month away from rocking the socks off your Fathers Day gift list this year. Just in time for Dad’s everywhere, and in the best weather Durban has to offer all year round, it’s sure to be the highlight of 2014, with all the big boys coming down to make sure that the third installment is the biggest and best of them all. We are pleased to announce that SA’s best trick biker, arch-conqueror and all-round awesome guy, Brian Capper will be back to attempt the best Hot Lap Time on his bike around the redesigned Street Circuit, wowing crowds with his insane technical stunts. 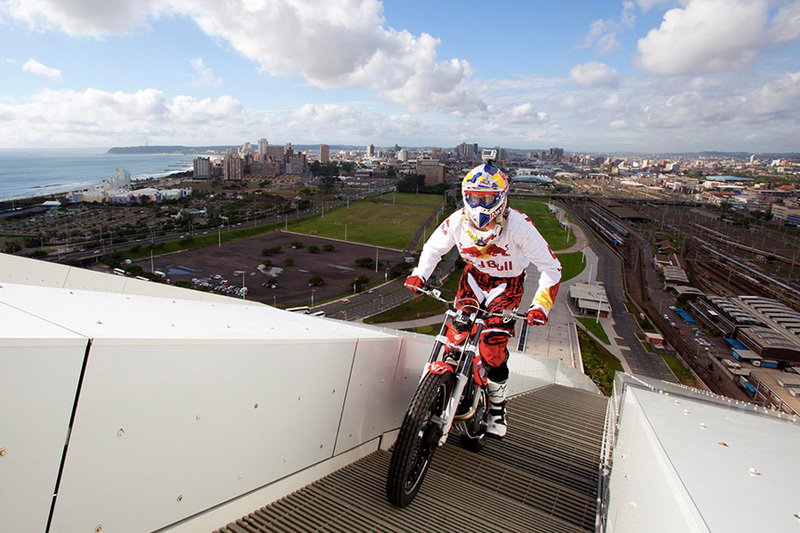 Who can forget when he defied the force of gravity by riding up the #MMStadium Arch three years ago? Well, we’ve put some pics up just to remind you. We will be kicking off the Top Gear Festival final countdown with a Fathers Day giveaway to put all other giveaways to shame, or at least give you the opportunity to redeem yourself for that free hug coupon you gave Dad last year. Watch this space (specifically Facebook, Twitter, and Instagram) as we launch details in the next week on how to enter. For those of you who just couldn’t bear dealing with the ultimate FOMO (in case tickets sell out), then here’s how you can ensure you have the hot seat. 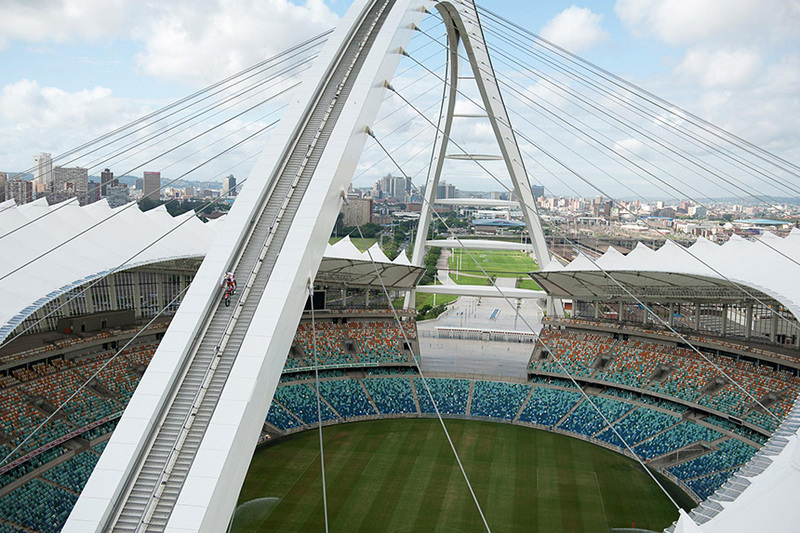 Tickets: Available from iTickets or at Moses Mabhida Stadium – next to Nino’s & Subway. Only card payments are accepted.